Last season the hounds shot out of the gate like their namesake, winning their first four games of the season at a canter. The rest of the season was less swiftly undertaken and the Hounds finished outside of the playoffs at 7-7. The coming summer may hold an even more ominous portent. The Hounds lost more than just their stars—they lost their coach, Jim Stagnitta, just before the supplemental draft. It’s going to be up to former league MVP Kevin Crowley to rally the remaining members of the kennel to go out and hunt for meaningful wins. CHARLOTTE - Kevin Crowley is coming back. Crowley, a former Major League Lacrosse and All-Star Game MVP, and the only player in the history of lacrosse to be drafted first overall in both professional leagues, is returning to the team that acquired him via a trade with the Chesapeake Bayhawks in 2015. The Hounds have signed the Canadian national team star to a three-year contract beginning in the 2019 season. In 2017, the midfielder enjoyed his best offensive season since he was named the league’s MVP in 2013. 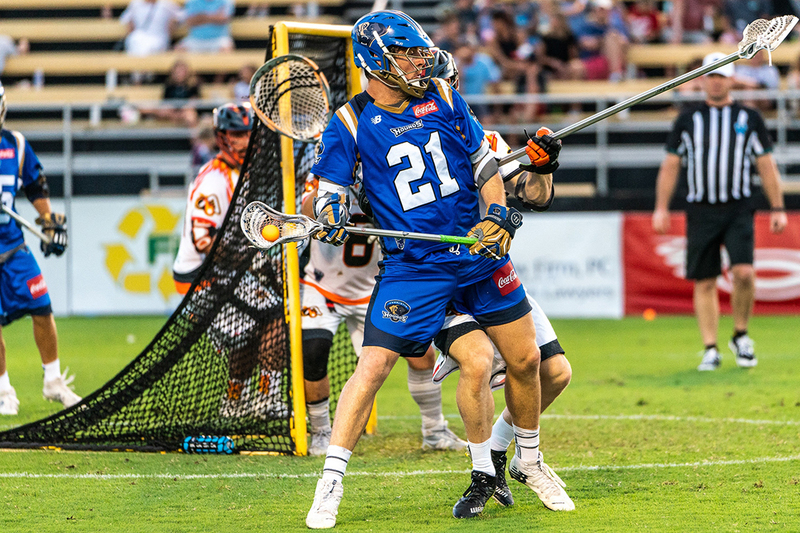 Crowley netted 25 goals and tacked on nine assists, second-most on the team earning him his second MLL All-Star Game honor. Once again, it was Duch coming up big for his new club, finishing with five points (three goals, two assists) on the evening. Duch said he’s now starting to find his groove after struggling with his confidence level in his most recent foot injury.